Abercrombie & Fitch have launched a new fragrance (or juice as they are referring to it in the press release) entitled First Instinct Blue. My first impression of First Instinct Blue is how innovative the bottle design is. I use the word innovative knowing full well how hackneyed the expression is. But these are first impressions, not a studied nor deliberated perspective. The packaging is a new imagining of the original design from Fabrice Legros, this quote from the press release "based on a rectangular structure [...] and inspired by that magical moment when you get butterflies in your stomach." Its silhouette has the square, bold aesthetic and is underlined by an ethereal rippling surface as you look through the bottle. I like it. It speaks to me. It tells me this is for a man that exudes confidence, masculinity, yet there's a more complex, mysterious underbelly once you scrape beneath the surface. The name does little for me. Every Instinct, is a first instinct is it not? Isn't it somewhat tautological to call something First Instinct? I guess Basic Instinct was taken. Don't look at me pal, I'm only going with the language from the press release. First Instinct Blue carries notes of cardamom, rosemary, frozen apple, lavender, pepper and tonic beans. Cardamom is derived from the ginger family, used in the culinary world to enhance savoury and sweet dishes. The Swedes are huge proponents of Cardamom, apparently it's the spice best suited for Autumnal and Winter dishes so perfect timing. It's got a great energy to it. I was enlivened and I got in engaged with the scent very early on. It had that aromatic mystery, a charm and it projected well. The dry down was enjoyable, offering a more herbal, sensual delivery with the peppers and the frozen apple. For my money it was spicier and herbal, than woody and earthy. More forest floor than forest oak, so I'm not sure it echoed cries of masculinity for me. Perhaps it could have done with bringing the sandalwood to the front of the mix. However, I enjoyed wearing this. The price point is fine; the bottle looks great. 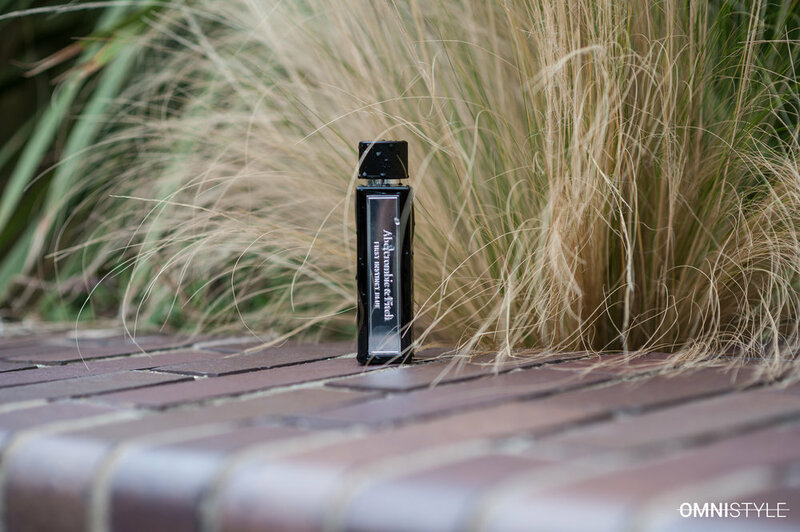 It's got an everyday appeal to it and actually works perfect as an autumnal scent.